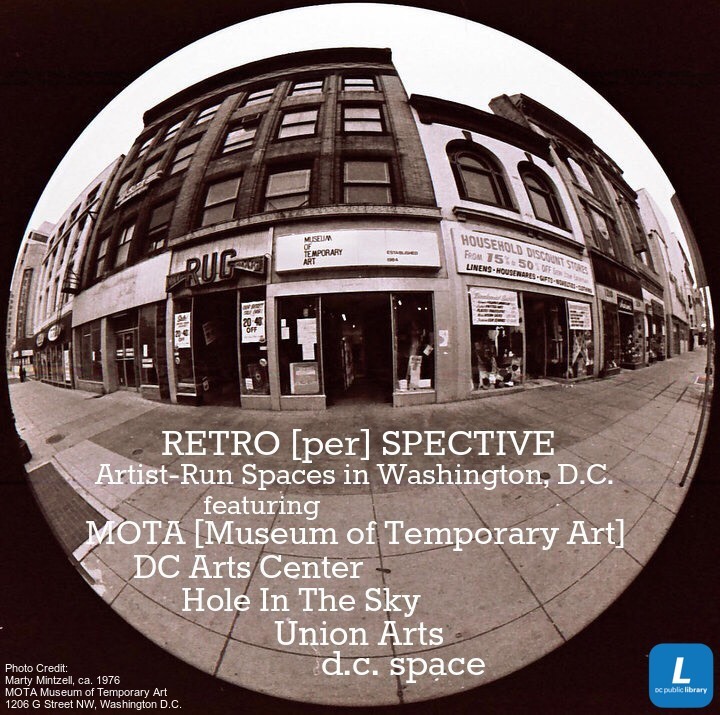 “RETRO [per] SPECTIVE: Artist-Run Spaces in Washington DC” is a month-long collaborative program between Rhizome and the DC Public Library Special Collections, featuring live performances every Friday night through the month of October, representing select artist venues: The Museum of Temporary Art (MOTA), d.c. space, Union Arts, and the DC Arts Center. The exhibition includes materials on loan from the personal archives of venue founders; from DCPL Special Collections; the Archives of American Art; and excerpts from historical audio and video recordings from the past. Tonight we feature the legendary 1980s venue DC Space, as well as DCAC. Representing DC Space, Transparent Productions co-presents a tribute to saxophonist Jimmy Lyons in a program entitled “Always Ballada,” led by drummer Nasar Abadey, and featuring saxophonist Sarah Hughes. Jimmy Lyons performed one his final concerts at DC Space in 1986, the year of his passing, with the late Sun Ra bassist Hayes Burnett and drummer Nasar Abadey. And, DCAC presents: "Los 30: Thirty Years of Salvadoran/Latino Migration to Washington, DC." Los 30 (thirty years) focuses on the arrival of Salvadorians in Washington D.C. over the last 30 years. The monologue fuses poetry and text written by Quique Aviles and video images of black and white pictures of the 1991 Mt Pleasant riots taken by photographer Rick Reinhard accompanied by a sound scape created by Hugo Najera (DJ MEZKLA) and live percussion by Aviles. We’ll start the night listening to an archival recording of SUN RA performing at DC Space.